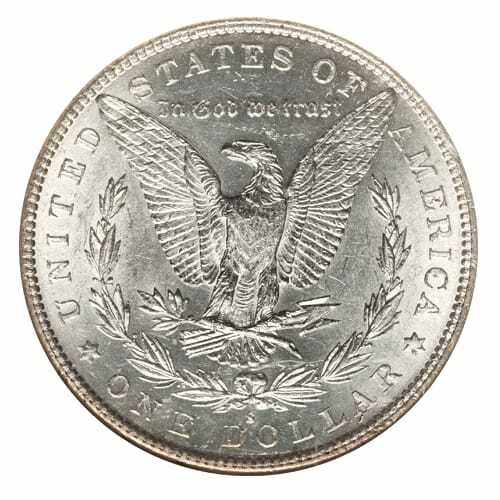 Authorized by the Bland-Allison Act in 1873, right after the passage of the Fourth Coinage Act, the Morgan Dollar brought an end to free coinage of silver. Before 1873, the Mint was required to accept any silver brought to it and strike it as coinage for a small fee. This flooded the market and caused a serious inflationary cycle. Eventually Congress required that the U.S. Mint purchase a certain tonnage of silver each month and strike it as trade coin, but this too was ended. Because the value of silver at the time was far less than a dollar, silver miners were making a profit on each coin they had produced. For several years, Congress went back and forth over the issue of silver as money, and this eventually resulted in the minting of the Morgan Dollar in 1878; silver was money once again. 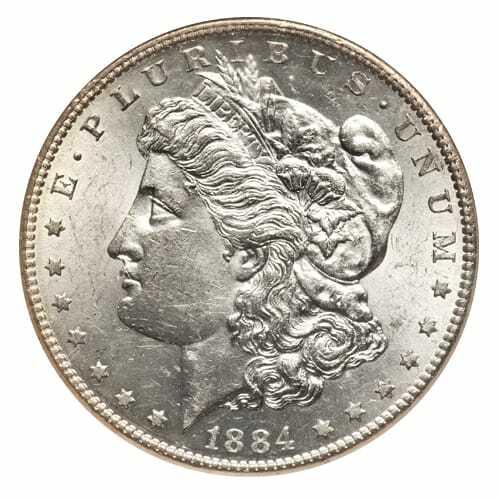 On its obverse side, the Morgan Silver Dollar has the profile of an American woman, Anna Willess Williams, to represent Lady Liberty. On the reverse is an eagle with wings spread open, grasping a sword and an olive branch in its talons. The Morgan Silver Dollar represents an interesting moment in U.S. monetary and mining policy. When mines in the western United States began to overproduce silver, there was tremendous pressure to stabilize the production of coins in order to stabilize the value of the dollar. This move, however, highlighted how little Congress understood economics and the impact of banking policy on monetary practices at the time. The coin itself was the beginning of tighter control over design and circulation. Manufacturing practices between the Philadelphia Mint and the Western Mints in San Francisco and Carson City were standardized and forced the designation of other Mints across the country to keep up with demand for the dollar. To learn more about the Morgan Silver Dollar coins and to get current pricing, please call us at (800)355-2116.